We offer a full range of professional electrical services to business owners, property managers and remodeling contractors who are looking for a reliable electrical contractor in Upper Michigan. 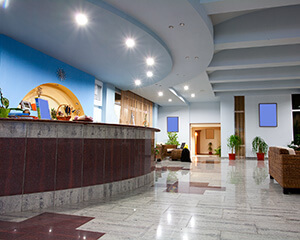 We do all types of electrical repairs and maintenance to ensure power to hotels and apartments is safe and reliable. 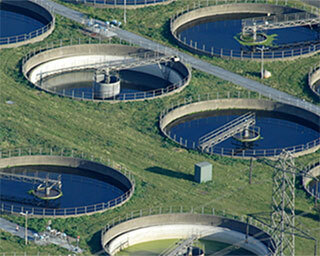 We work with municipal works departments to ensure critical electrical systems are repaired and maintained correctly. 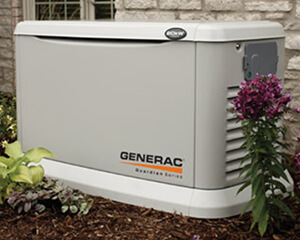 Our electricians are trained to install and maintain Generac generators to keep power to your critical circuits during an outage. We've done the electrical work on many restaurant projects so give us a call if you need an electrician for your project. 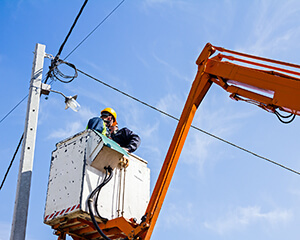 Our bucket truck service is perfect for all those electrical jobs like parking lot lamps that are hard to get to with ladders. 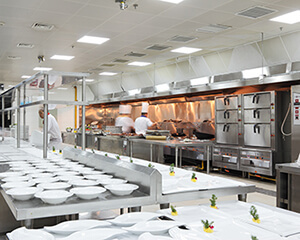 Any type of electrical problem in a restaurant kitchen can lose you customers. 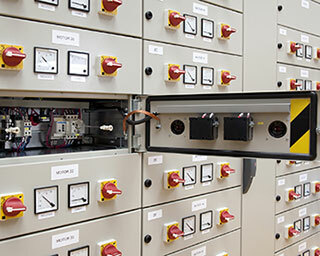 Our electricians will get you back up running quickly. 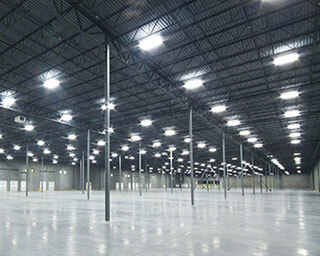 Efficient LED lighting is now the standard for warehouse lighting. So, if you haven't upgraded already, now is the time to do it. In the business world, we rely on electricity to power everything from desktop computers to commercial deep fryers so when your business is affected by an electrical problem, it can end up costing you a lot of revenue if the problem is not resolved quickly. 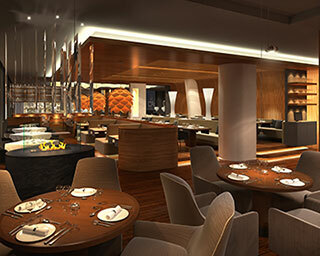 We provide a full range of electrical services to restaurants, hotels, retail outlets and most other types of business. If you've got an electrical problem, we'll dispatch a qualified electrician to troubleshoot and carry out repairs as fast as possible. If you need to upgrade your electrical service or want to replace your lighting, we've also got you covered. In fact, if it's anything to do with electricity, give us a call, and we'll do our utmost to provide you with the best electrical service in Upper Michigan.